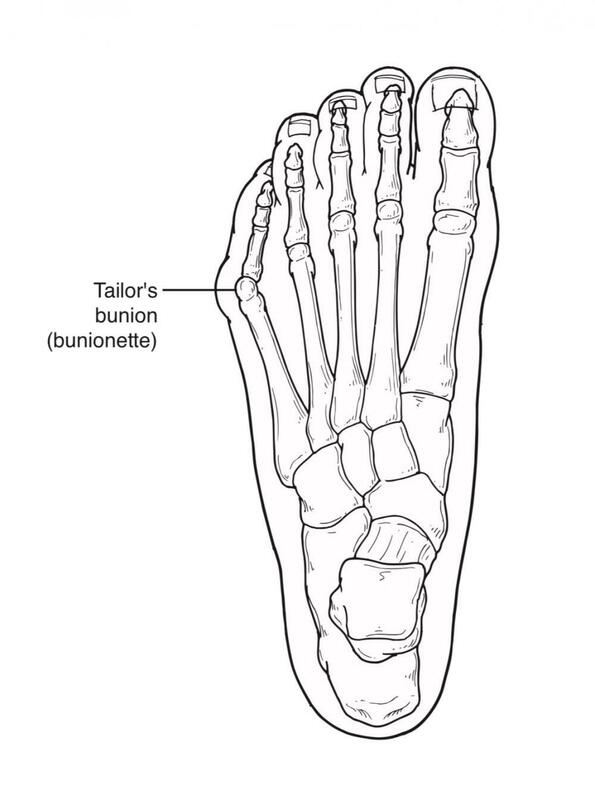 When a toenail is ingrown, it is curved and grows into the skin, usually at the sides of the nail. The nail digging into the skin is irritating, often causing pain, redness, swelling, and warmth in the toe. It is a simple concern but man oh man does it hurt!! If you’ve suffered with an ingrown toenail you know it feels like a knife digging into your skin. Everyone will step on it too, your kids, your dog, anyone. It’s best to get your ingrown toenails treated ASAP by a foot doctor in Portland for immediate relief. Why Do Ingrown Toenails Develop? Sometimes the nail is too wide for the nail bed which causes the nail to grow into the skin. Trauma. Sometimes an ingrown toenail is the result of trauma like something dropping on your toe, a stubbed toe, or activities that involve repeated pressure on the toes like kicking or running. Improper trimming. 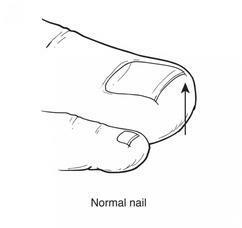 This is the most common cause of ingrowing nails. If you cut your nails too short and angled (not straight across) then it encourages the skin next to the nail to fold over the nail. Improperly sized footwear. Ingrown toenails can result from wearing socks and shoes that are tight or short causing the nail to drive into the skin. If an ingrown nail causes a break in the skin it can allow bacteria to enter and cause and infection. An infection will usually have drainage and a foul odor. If the toe isn’t painful, red, swollen, or warm, a nail that curves down into the skin can eventually progress into an infection. Many people are frightened to have the ingrown nail procedure done. After it has healed most people wish they hadn’t waited so long to get it taken care of. It’s not as bad as your friend said it would be. It is a very simple in-office procedure that takes less than 10 minutes. Restrictions are minimal after the procedure. 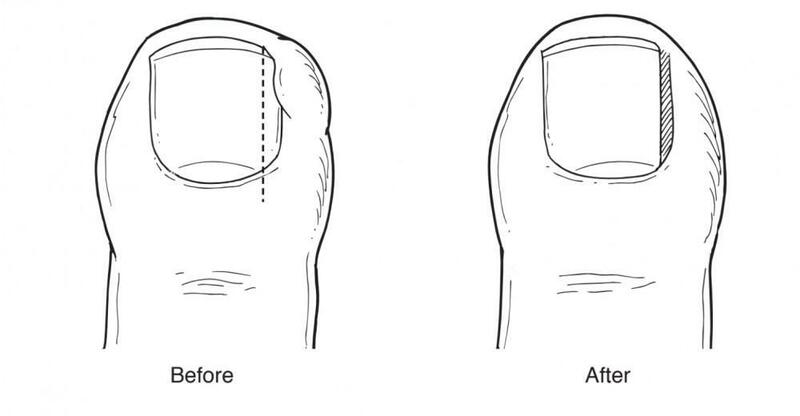 After applying a local anesthetic, the doctor removes part of the nail’s side border. 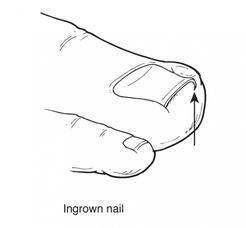 Some nails may become ingrown again, requiring removal of the nail root. Following the nail procedure, a light bandage will be applied. Most people experience very little pain after this minor procedure and may resume normal activity the next day. If the doc has prescribed an oral antibiotic, be sure to take all the medication, even if your symptoms have improved. If you’re suffering with ingrown toenails it’s time to see us at Elite Foot & Ankle! 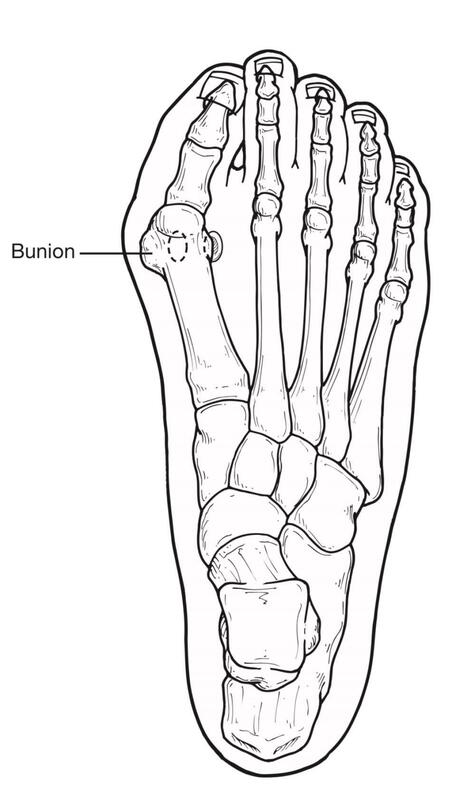 Get relief from those knives digging into your toe! 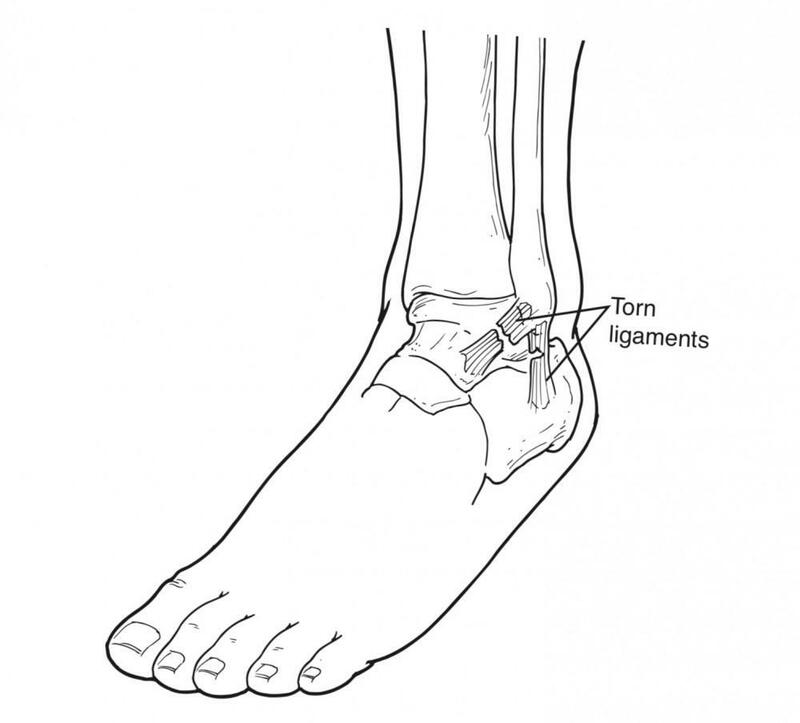 We now offer radial extracorporeal shockwave therapy (RSWT) for pain associated with Achilles tendontitis, plantar fasciitis, any type of tendon or soft tissue injury and it has even been shown to promote wound healing. Should I go to a podiatrist or an orthopedist for my foot or ankle problem? 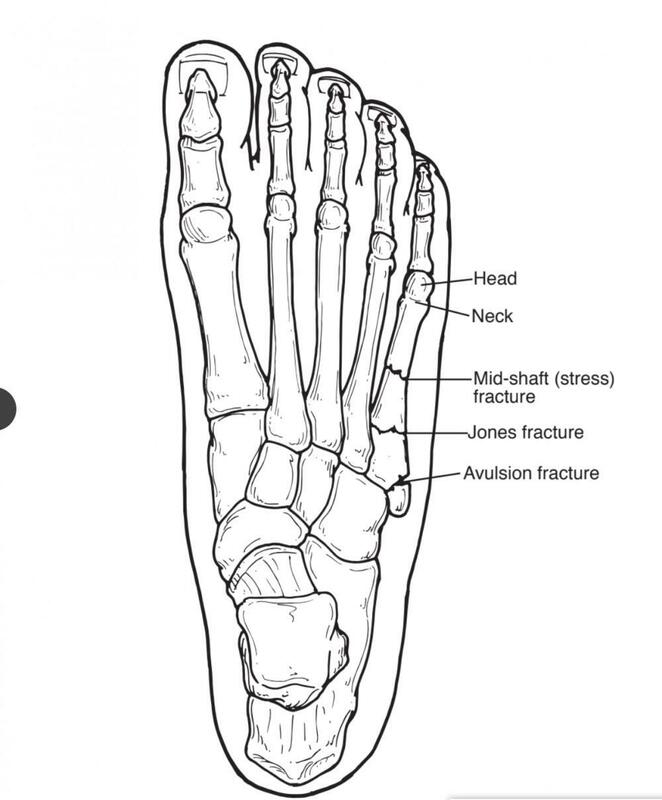 What is a 5th Metatarsal Fracture and how is it treated?